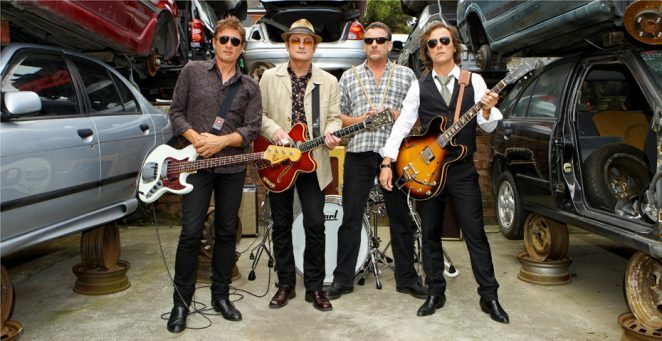 The Under the Southern Stars 2019 concert lineup, touring Australia in January is one of the most impressive we’ve seen for some time, featuring Hoodoo Gurus, You Am I, Eskimo Joe, The Superjesus, British India, The Getaway Plan, and Scott Darlow, with Sheppard added for Queenslanders. 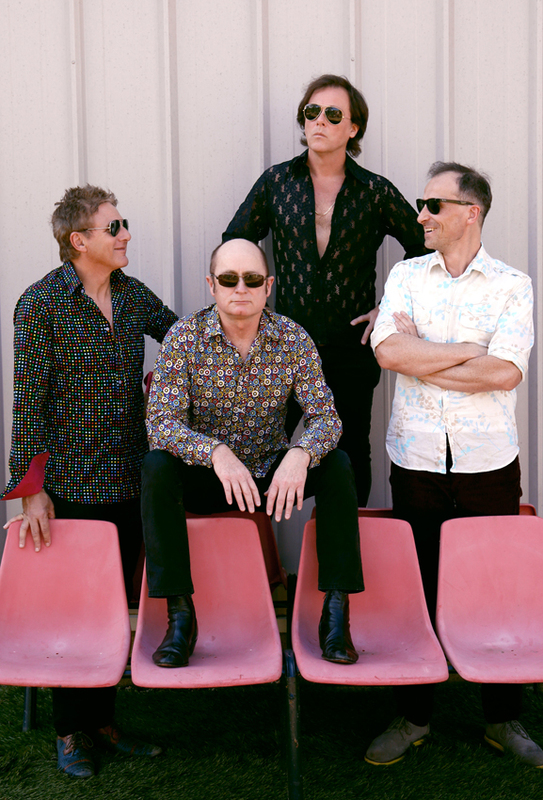 The headlining Hoodoo Gurus have been one of Australia’s most exciting and respected bands for over three decades and sound as powerful today as they ever have. Australian Musician’s Greg Phillips was both thrilled and honoured to chat with Gurus’ frontman Dave Faulkner about the shows and the band’s long, successful career. A massive lineup has been assembled for the Under the Southern Stars gigs. Hoodoo Gurus have been on many multi-artist bills over the years. Do you enjoy going on the road with a stack other bands? Well to be honest, we just do our own thing. We’re happy to be playing with You Am I again, we have done a lot of shows with them in the last couple of years and that’s been fun. We feel a general kindred spirit with them anyway. When we’re on stage we’re in our own world. Generally speaking we have never really toured with anyone else and these sort of shows are the exception to that rule. Going way back with our second album we did a tour with The Bangles in America a couple of times, so that was a major palling up. We did have You Am I with us when they’d released their first album and that was also with Red Kross, so that was a tour with bands that we loved. As far as us being supporting or being on a bill that someone else puts together and we’re one part of the puzzle, we’ve never really done that until the latter years. We have been lately because you now have the whole Day on the Green thing and various other festivals, Red Hot Summer and so forth, so we’ll do them if they come knocking on the door and it sounds like fun. You get to play some pretty scenic places when you do some of these larger gigs. What are some of the more exotic locations Hoodoos have played over the years? The most exotic one recently was Birdsville, the Big Red Bash, the annual concert they have up there. It’s this big red sand dune that they set up in front of and it has the natural red dust backdrop. Other exotic places .. we’ve played in quarries, on the deck of a ship, in the case of the Canberra, we did that way back when on the naval base in Western Australia. It’s well documented that Iggy Pop and Pete Townshend have both said nice things about your band. Who else have you been surprised to learn was a Hoodoos fan? Well in the very early days, we were heavily championed by Elvis Costello at one point, which was very nice for our first album. He was actually the person who signed our visa application to tour in America for the first time, so his recommendation was helpful. In those days it was quite difficult, you had to have artistic merit for artists to get into America. He verified that we had merit (laughs). Others, I don’t know. We have met a lot of people who have come to our concerts … Joey Ramone, Jimmy Page. Jimmy Page came to see us at the CMJ convention when we played at The Ritz. Which of your songs are you most fond of for its construction as opposed to success? I always point to What’s My Scene for that. Just because it’s kinda like the perfectly made chair. As a piece of furniture, there is not splinter out of place. Everything in it is hard hitting and it’s got strong melody and great feel, it just keeps propelling itself along. Every bit leads to something else and nothing is extraneous and I just love that. Did that song come together quickly? Yes and no, I mean I can’t remember specifically. I know that when I was writing the lyrics, they were half done and we were to sing it at a warm up show before we recorded the album. We did a bunch of shows up at Airlie Beach to play the new songs before we went into the studio. That was one I had to finish the lyrics of that afternoon. After the show people came up immediately and asked about that song, they really noticed it. Has your method of writing changed much over the years? No change at all, still very hit and miss. You come up with a melody that excites you and maybe you’ll record a bit of that melody months or even years earlier on the iPhone or whatever device. Then you come back to it and see if it still excites you. I like that as being a bit of an acid test. If I don’t feel the same thrill the second time around then I know it might be a little bit derivative of something else I have heard or that I have written myself. By and large my lyrics will come later, they have to fit the melody and sing the melody. For me the lyrics don’t just coincide with the melody, they have to embody it. With Whats’ My Scene, I remember very vividly that those notes sounded like those words to me … what’s my, what’s my scene. Even though they don’t literally, they did to me. Is it difficult not to keep writing the same song over and over? Do you have comfort chords that you naturally gravitate to? I find that I am much more inclined to write more nimbly these days, which is something I have to really try not to do because I love lots of elegant, weird chords but I also love minimalism and doing the most with the least. I’ve done that in the past, using the chords of say, Louie Louie the old 1,4,5 thing, which was used in a bunch of songs. That’s a challenge, to use something that is almost actually a trope but freshen it up and make it new and I like that too. Have you had much of a gear journey over the years? What guitar amp did you start out with, what using now and was there much in between? Obviously amplifiers, they come and go but I have been on the same amps for a very long time now. When we began, I had an amp that we bought back in Perth. I was in my early years and was playing keyboards and it was a Fender Vibrasonic with a giant 15” speaker in it. It was a fantastic sounding amp and I used it in the Victims, my punk band as well. It had great drive. The first guitar I bought was something off a junk shop wall. It was an imitation SG and it was a Maya and I got it for like 50 or 80 bucks. I actually broke one of the tuning pegs on it while playing it in The Victims, just bashing the guitar or something, so I played it with 5 strings for most of The Victims career. I didn’t have the high E. The next guitar that I bought was a Gretsch Country Gentleman and that was fantastic and I had the same amp The Vibrasonic, which I also had at the start of the Hoodoo Gurus. Then I went overseas and bought a Les Paul Junior, a ’57, which was an amazing guitar and I know The Scientists used it on their first EP when I came back from America. That guitar actually got stolen and so did the Country Gentleman. The Gretsch got stolen from a dressing room in Adelaide at The Tivoli when we were playing our encore. I broke a string in the last song of the set and had to play a spare guitar for the encore. Someone broke into the dressing room and passed the guitar out through the roof and they ran down the street with no guitar case, just the guitar. I believe people still know who has got that guitar but don’t want to tell me. It’s disgusting actually. For them it is a trophy but for me, it’s a piece of equipment that I treasure. It has significance for me as well. That’s the one I played the lead solo on My Girl with for example … which I probably shouldn’t say, it will give them a bit more of a cache. My Les Paul Junior got stolen in America and that’s a very ugly story. I believe our tour manager stole it, our American tour manager. He stole a whole bunch of our gear and then magically Brad’s guitar returned, as Brad was so upset and he kinda liked Brad at the time, so he decided to bring that one back. He pretended that some butcher had handed it to him by some guy who had sold it for cash. He was like, just give this guy 200 bucks and you can have your guitar back Brad. So that was ugly and after that happened, we played on borrowed gear and rental gear for the rest of the tour, which was not much longer anyway. When I got back from the States I went to a guitar shop which is no longer there in Coogee and bought the Telecaster, which I have been playing ever since. It was kind of expensive at the time because Bruce Springsteen was a bit of a flavour and people wanted to play Teles cos he did but it is quite an amazing guitar. It’s a bit of a bitsa, a 53 body, a 56 neck and 58 scratch plate apparently but they tell me that the 56 necks were one of the best. That has been my go-to guitar ever since. I had another Tele, a 68 which is my spare and it’s a really good guitar but compared to the other one, it doesn’t hold a candle to it. As far as amps go, I have been through all different kinds of things, various fads of amps that have come and gone. At one stage I had a Mesa Boogie set up with a big cab and a smaller combo head, which were designed to go together. I have a fantastic Vox AC30 which I use for recording all the time, that’s my number one amplifier for recording. They have a slightly creamier sound than the AC30 but the AC30 has bite and body and everything else you want. I also have two matching Matchless amps that are my touring amps and I also use for recording as well. I’m actually buying another one soon. I also have one at home, a 3 channel combo. On tour I use 2 channel switchable Matchless amps. I use one with an amp, clean and dirty for rhythm and then I have the boost amp which switches in and out to get the volume boost when I am doing leads or any sort of rhythm part that needs to be picked out a bit more. How do you reckon the Hoodoo Gurus would go starting out today in the digital/social media age? I think we’d be enormous. We’d be huge … we wouldn’t have all of the obstacles that we faced when the band was starting out. In those days, Australian bands were not taken seriously … certainly in the UK. Even in America they thought we didn’t know their market and weren’t practical but you’ve seen more recently Gotye and Courtney Barnett and Tame Impala and it’s clear that it’s no longer an issue. People know that Australia is a leading edge in many ways in music. It always was but it just wasn’t acknowledged. We know that the whole grunge scene of Seattle stole everything from the Sydney, Melbourne and Adelaide scenes here in the early 80s. They took everything from Citadel Records and various other things that were going around. So Nirvana were huge and came from Seattle, therefore that’s important whereas Australia was never acknowledged and those bands by the way, were kinda sheepish about admitting it … that they listened to the Eastern Dark and stuff like that. What happening with Hoodoo Gurus in a recording sense? Anything happening there? Nothing at the moment, I have been a bit flat. We’ve been going through a little bit of a change of life crisis in the sense that Mark our drummer has been in, been out, been in and looks like he’s out again now. We haven’t really settled on a stable line up for a while. We’ve had Nick Reith with us and he’s fantastic but still not 100% certain that he will be the main guy. We are doing some shows with him and we’ll figure it out from there. These Under The Southern Stars shows are with Nick. He’s fantastic and everything you’d want in a drummer but we just have to settle as a band and coalesce around him more and it hasn’t quite happened to us yet. So for me as a writer, I feel that most intensely but it’s probably down to my mental space more than anything to be honest. I’ve just got to feel that energy and the feeling that it’s right. It is a very exposing thing to write music and to work on it. When the band broke up for 6 years I had some songs that I thought were really good and I worked with some other musicians and it just didn’t sound right. I couldn’t figure out what was wrong with these songs and it wasn’t until the Hoodoo Gurus reformed and started playing these songs, that they started to sound like they were supposed to be to me. So that’s a very big thing for me, the chemistry thing. It’s not a personality thing or even an ability thing, it is just chemistry and maybe it takes time to meld into one big alloy again instead of being separate elements. What are you most proud of in your musical life?